The first race of the season is always a good test of winter training and preparation. It’s also good to get a feeling for off-road racing at speed and to sharpen up technical skills. Although I went unchallenged by the other women, I was able to race against the men, which I always find a great challenge that pushes me hard – it’s pretty good fun too! After winning all 4 stages and testing my speed and endurance, I’m really happy with my current form and I’m well on the way to being in top shape for my first main goal of the season: the Cape Epic. Here is a great link to a trailer for the women’s race, which is sure to be an exciting and competitive 8 days! I’ll be racing together with German rider, Adel Morath, with whom I have a proven partnership after winning the Swiss Epic last September. 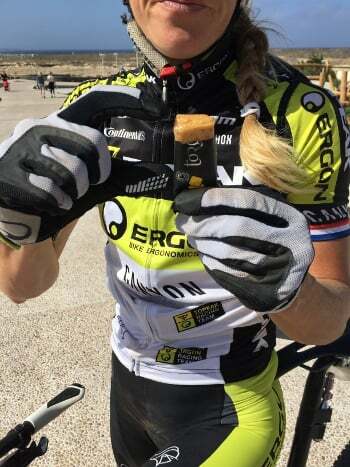 I’m totally loving the TORQ Chew Bars.they worked great during the race. They’re like little fruity bursts of energy and I love that they’re just 4 simple organic ingredients. I have to confess, I’ve been scoffing them off the bike too! 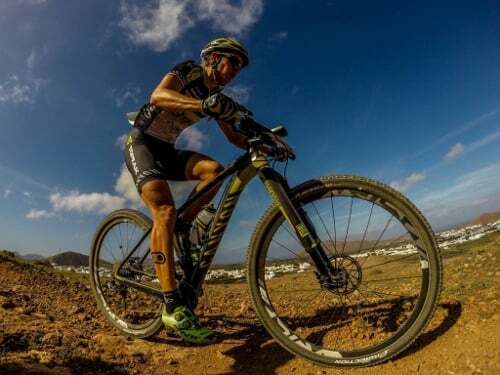 We’re now back in Gran Canaria for a couple more weeks before we head over to mainland Spain to prepare for the Andalucía Bike Race, where I’ll team up with a new partner, Swiss rider Katrin Leumann. While Andalucía is not a big goal, it will provide me with the last fine tuning ahead of the Cape Epic.